When Marvel announved their new line up of movies for the next ten years or so one of them was an Inhumans movie set for release November 2nd 2018. 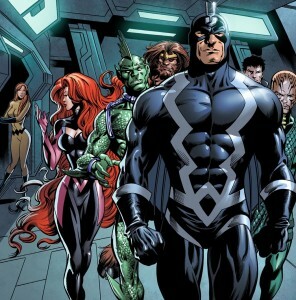 The Inhumans a group of super humans whos powers originate from their alien ancestors the Kree who experimented on primitive homo sapiens. The current Marvel cinematic universe is building a lot of foundations around aliens at the moment with the success of Guardians of the Galaxy and the Agents of S.H.I.E.L.D are also investigating the location of Attilan (also called The Hidden Land) too. The Inhumans movie will help tie up a lot of loose ends in the Marvel universe and may even shed some light on Star Lords Farther or Rocket Racoon origin. 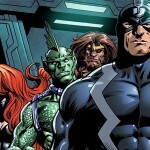 The Inhumans movie release date has been pushed back but it will give Marvel movie time to tease the new team.